This full-service barber shop is a multigenerational tradition that’s been kept in the family for over 40 years! 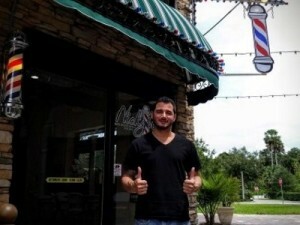 Specializing in all types of men’s hairstyles, Nicky Boys also does complete shaves and beard trimming. Nicky Boys is an old-school barber shop with all the best in new and state-of-the-art tools. Enjoy a gourmet cup of coffee or bottled water while you wait!